Editor’s note: It’s a short one this time, not because there isn’t a lot of news since the March 31 e-News, but because your editor just got way too busy. But do check out all the articles and their attachments. They are all about SUMMER! 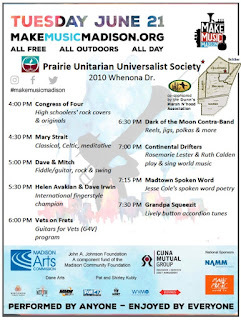 For the fourth year in a row, the Dunn’s Marsh Neighborhood Association (DMNA) and Prairie Unitarian Universalist Society will co-sponsor hours of free music outdoors in the neighborhood. The outdoor music is part of the Make Music Madison event held each year on June 21. This year June 21 falls on a Tuesday. 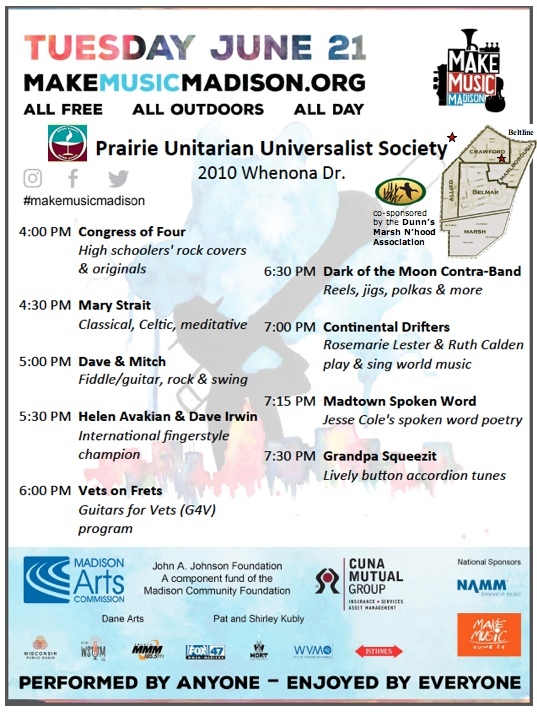 The concert will be held from 4:00 to 8:00 pm on the grounds of Prairie UU Society, 2010 Whenona Drive (corner of Whenona and Crawford Drive). Nine different acts will perform. Some chairs will be provided, but for your best comfort, bring a lawn chair or blanket. Bottled water and a few snacks will be available for purchase. If you wish to donate to the performers, bring a few extra dollars. Donations are not required but are a way to thank the musicians for their music. 7:30 pm - Grandpa Squeezit - Lively button accordion tunes & (if we get it together) possibly a Maypole dance that the audience can participate in. Rain or shine, the music will go on. We will go indoors if the weather turns bad. Looking for afterschool and summer programs for your child? 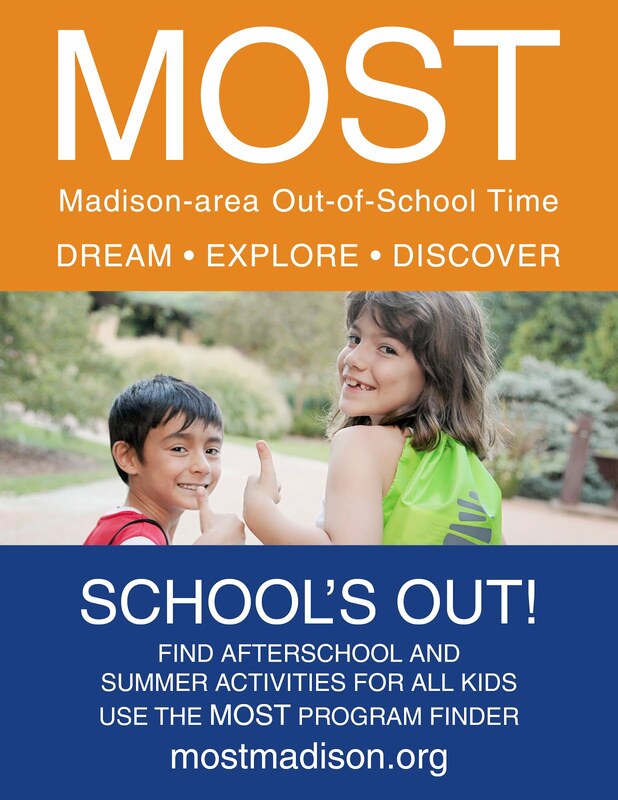 MOST (Madison-area Out-of-School Time) is making that easier with a brand new “one-stop-shop” online program finder. No matter what your budget is or where you live in the Madison area, you can find just the right program for your child, from kindergarten through high school, from homework help to karate or art classes. With just a few clicks, the program finder can help you make the most of your child’s or teen’s time out-of-school. You’ll be able to search for programs by grade, distance from your house or the type of program you’re looking for, as well as about ten other searchable criteria. Start your search at www.mostmadison.org <http://www.mostmadison.org> and let your child dream, explore and discover their passions. 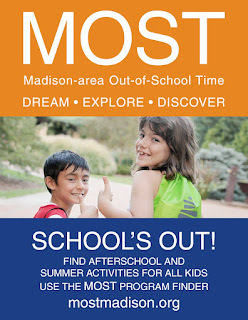 MOST is a citywide collaboration between the Madison Metropolitan School District, the City of Madison, Dane County and 40 different youth serving organizations to help close Madison’s opportunity gap by ensuring that all Madison’s children have access to comprehensive, high-quality out-of-school time programs that will support positive youth development, educational achievement, and/or career, college, and community readiness. 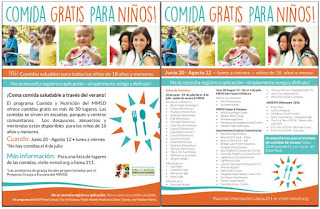 If your kids or any you know rely on free meals at school, summer is not a good time for them. 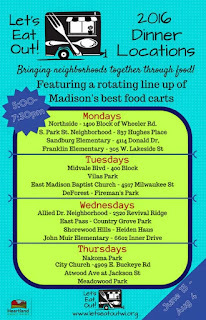 But now the Metropolitan Madison School District in partnership with the REAP Food Group, City of Madison, Public Health-Madison & Dane County, and Madison Parks has a program to provide free healthy meals for all kids 18 and under at 50 locations around the city. Three locations are in our neighborhood! Marlborough Park, the Boys & Girls Club, and the Allied Learning Center. The program starts June 20 and ends August 12. 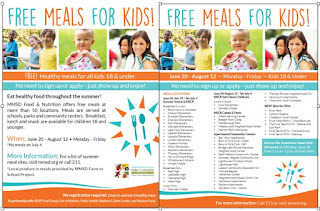 Meals are provided Monday through Friday except for Monday July 4. 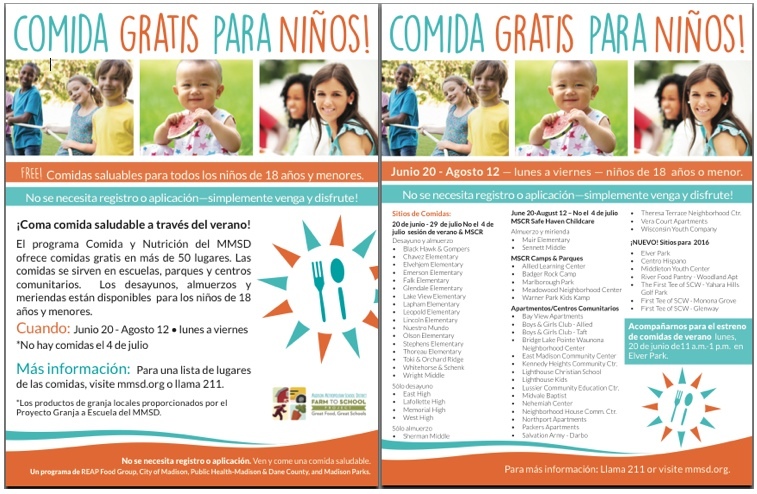 For more information, such as all the sites where the program is available and whether Breakfast and Lunch, Breakfast Only, Lunch Only, view the attachment, go to https://www.madison.k12.wi.us/ or call 211. Local produce in meals is provided by the MMSD Farm to School project. Starting this week! 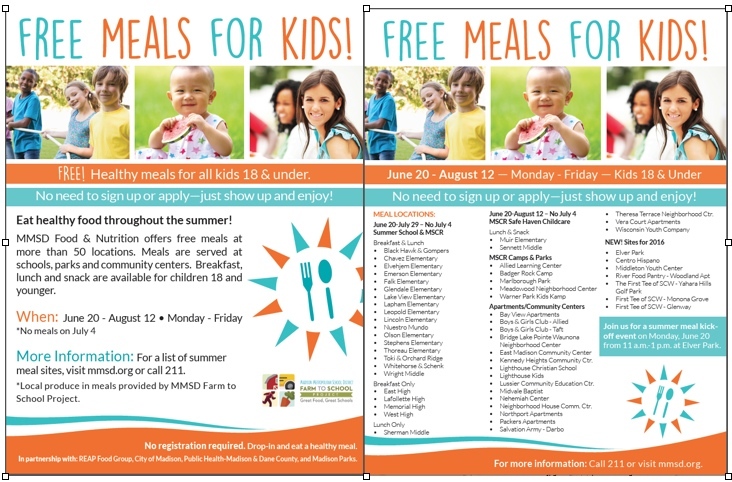 Three dollar meal coupons will be available on-site at Meadowood Park, The Splash Park and Allied Drive! Take the kids. The one in the Allied area is actually at 2320 Revival Ridge, the street that runs in front of the Boys and Girls Club, but further down where there’s some open space. It’s an event for everyone, no matter what part of the neighborhood you live it. CHECK IT OUT! 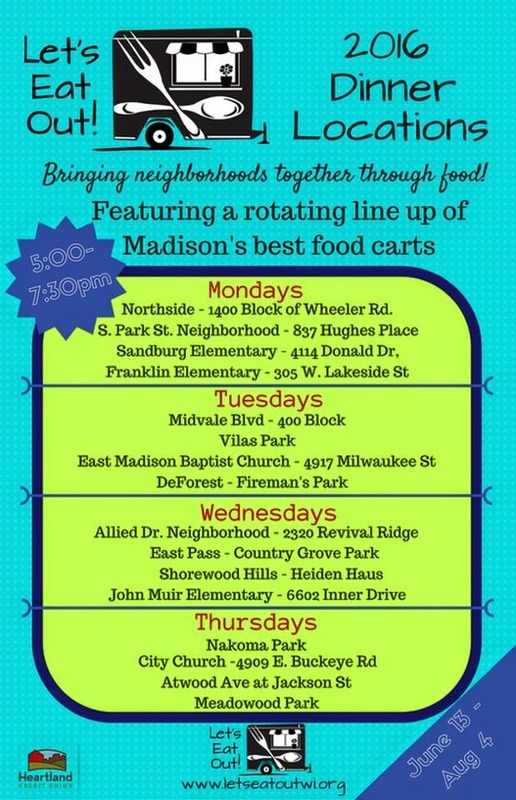 A rotating line-up of Madison’s best food carts will be there too.